Do you miss Windows 3.1? Probably not. To put it mildly, it wasn’t the best OS around in its time, and we were all happy to move along to Windows 95 when it came out. 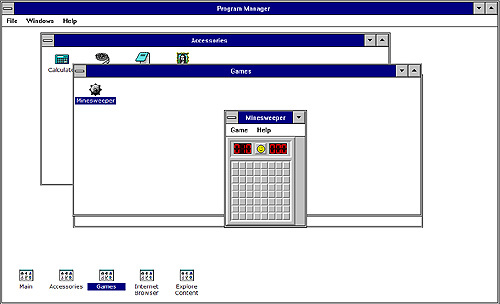 One thing bothers me, though – this online version of Windows 3.1 works very fast and doesn’t crash! A bit too much artistic freedom, if you ask me. Upgrading Windows. All of them.